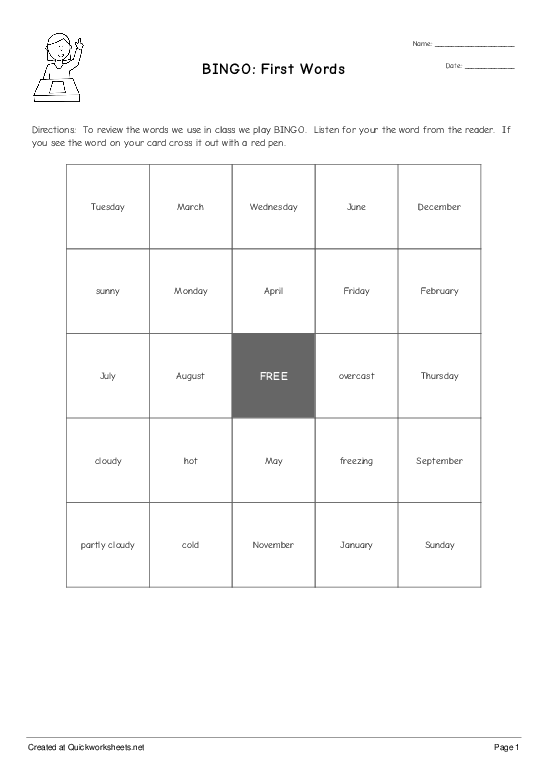 Directions: To review the words we use in class we play BINGO. Listen for your the word from the reader. If you see the word on your card cross it out with a red pen.